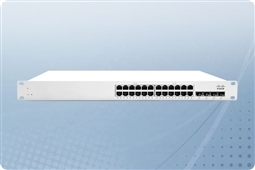 Cisco Meraki MS250 Series Switches are a flexible yet powerful connectivity solution perfect for medium size businesses, SMB branches, and small campus networks! The MS250 Switches are ideal for versatility of use making them a huge value for the IT Professionals that depend on them through standard features such as Layer 3 static routing, stacking, and 10Gb SFP+ Uplinks on every model. Additionally, with the Enterprise Cloud Controller license allows for intelligent and intuitive management through a simple cloud interface rather than complicated command line and configuration files. Plus centralized management features of the Enterprise Cloud Controller software allow for the deepest view into your network and how it is currently being used, making deployments and planning a breeze! Aventis Systems bundles all of our Cisco Meraki MS250 Series Switches with a minimum 1 Year Enterprise Cloud Controller License (Including Support). 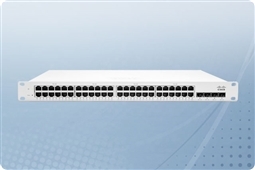 In addition all Meraki MS250 Cloud Managed Switches come with a standard 1 Year Comprehensive Hardware Warranty with upgrades available to Extended and Express Warranties as well as Onsite Support. So shop below and best for versatility, routing, value, and ease of deployment to your business with the Cisco Meraki MS250 Series Cloud Managed Switches!